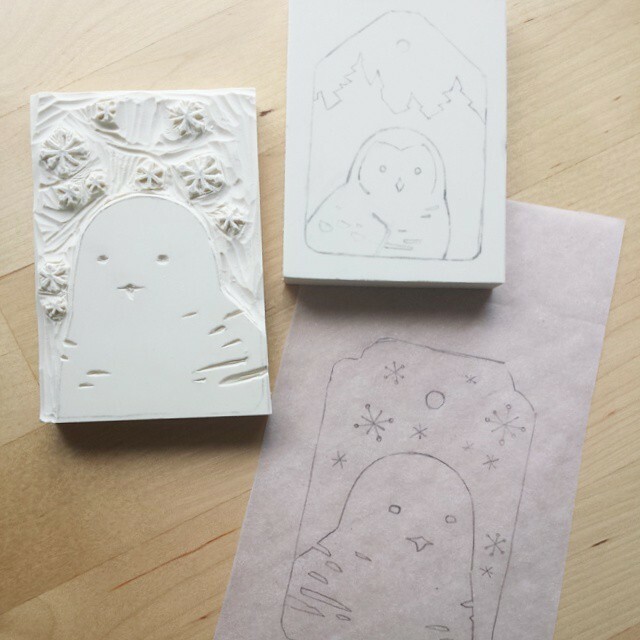 Yesterday I cut a couple rubber stamps, a little project for the upcoming holiday season. These will be used for making gift tags. 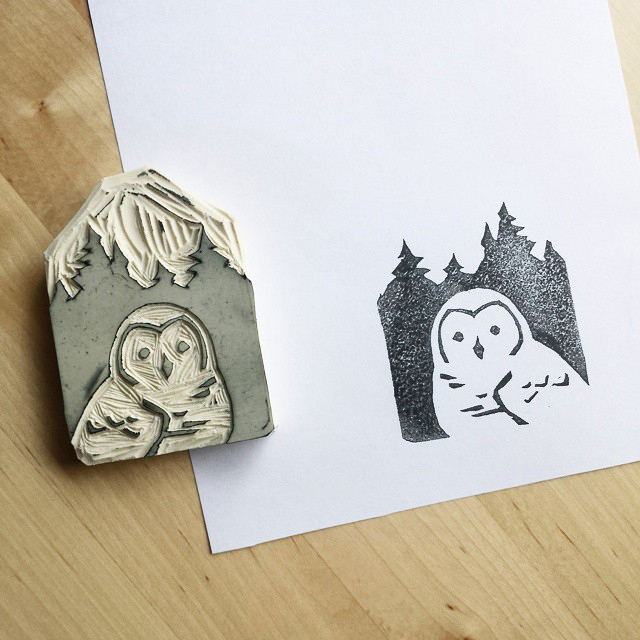 One with a snowy owl with snow flakes and the other a little owl and pines. I LOVE these! Will be watching for them in your delightful shop!